Hannah Elise: April instagrams + other randomness! April instagrams + other randomness! April was such a busy month! Lots happened and I'm excited to share some instagrams and other news today! Love seeing your instagram re-cap posts, Hannah! One of the BL postcards arrived in our mailbox the other day and I recognized your beautiful pictures on it. 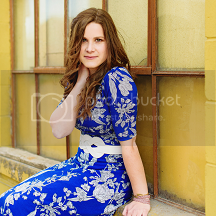 :) Your spring pictures are so clear + gorgeous, too! Another blanket of snow has covered the ground over here again. I went outdoors yesterday and photographed some of our spring flowers with snow/ice on them. :) Blessings, Hannah!! Loved the Ig recap! I can so sympathize with you on the whole mail thing I get super sad when there's no mail:) ohh cant wait to see the states you'll be traveling to!!! This is a lovely mixture of things. Love those sandals! Might have to go to Target soon. & Chick-fil-A is pretty great.. I work there :) Love the rainy pictures at the end! Gorgeous ! okay, how do YOU know Shelby Helman?! SD was beyond epic. we are all in agreement here, yes? ?